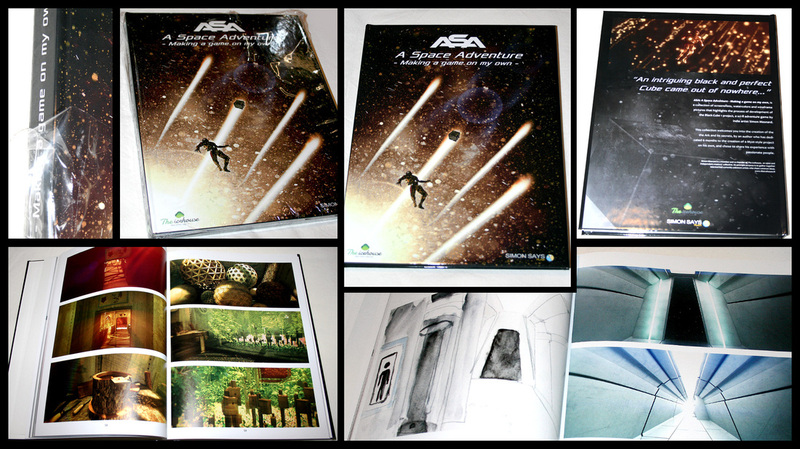 This book is a collection of backgrounds and screenshots from the game ASA: A Space Adventure by Simon Says: Play!. All the pictures are printed in good quality color. The resulting product is a very beautiful book. In the Preface, author Simon Mesnard details "Making a game on my own", and explains some of the choices made during the game’s development. 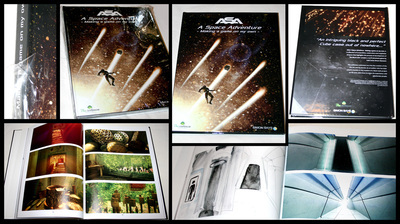 Most pages feature 3D environments as they appear in the game, along with wireframe views, watercolors and artworks, and screenshots from the original short film 2011: A Space Adventure.